CHINA. Xinghai. 2009. 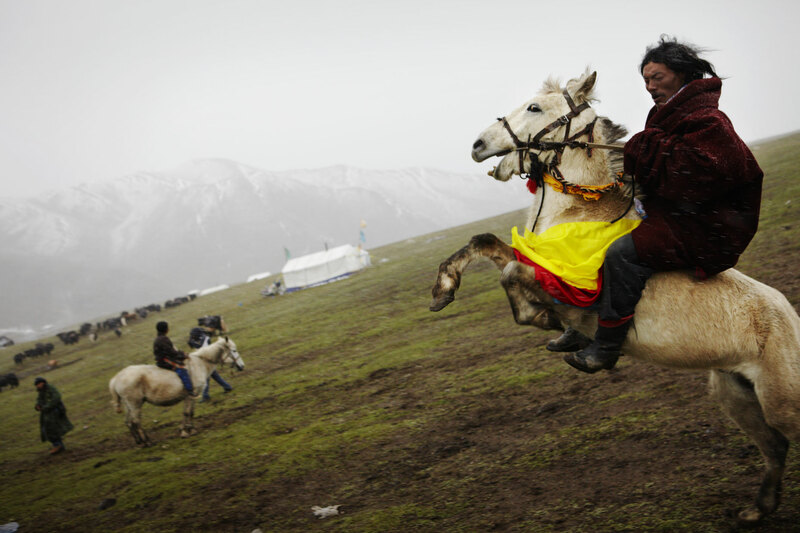 Near the vilage of Muri, tibetan nomad A Hen Ru rides his horse near their camp. He was preparing for a local horse race the next day.